BJP TV spokespersons are getting more shrill, and even louder—if that can be possible—as the general election gets closer by the minute. Their public speakers, starting with the prime minister, have never been at a loss for epithets and pejoratives in attacking enemies in the belief that all’s fair in hate and politics. But this attitude appears to be producing diminishing returns. The latest unrepeatable words uttered by the BJP’s Sadhana Singh against BSP supremo Mayawati probably cost the ruling party more Scheduled Caste votes not just in UP but across the country than can be imagined. But the so-called English-speaking saffron elitists who appear on popular nationwide talk shows are competing for space with the likes of Sadhana, unaware of the loss of public sympathy it is costing them. Even though it has not been widely reported, there has been a backlash among the BJP’s middle class supporters against utterances made by two prominent BJP spokesmen on a recent episode of the iconic NDTV show, “We The People”, anchored recently by neophyte Gargi Rawat. The subject was sedition charges brought against JNU students by the Delhi police for allegedly shouting “anti-national” slogans at a campus rally three years ago, and the validity of the sedition law, a hangover from the British Raj. One prominent BJP spokesman actually repeated that anybody shouting an “anti-national” slogan in public should be summarily executed, while another, a military man, spewed venom at the mother of JNU activist and former JNU students’ union president, Kanhaiya Kumar, for having given birth to him. While Barkha Dutt, who once handled this programme, would probably have evicted both of them from the show, Rawat only tut-tutted sheepishly. The pro-execution advocate not only remained on air, spitting more venom, but also returned as a regular guest in his usual ideological slot a few days later. Congress President Rahul Gandhi’s description of Smita Prakash, the editor of news agency ANI, as “pliable”, after she accomplished the rare journalistic feat of interviewing Prime Minister Narendra Modi recently had kicked up a brouhaha by mediapersons, who objected to one of their own being called names. But even as Prakash has been proudly defending her­self she has, again, perhaps unwittingly, become the target of a renewed “pliant journalist” attack last week. At 3.05 pm on January 22, while reporting on Amit Shah’s rally in West Bengal’s Malda district, ANI posted a tweet that quoted the BJP president as saying: “Bomb and weapon making industries are prevalent in Bengal. Where Rabindra Sangeet used to play, bomb blasts fill the air. The BJP shall bring the glory back to Bengal.” While this part of the tweet was clearly a verbatim quote from Shah, the tweet added: “This is what a real speech from a leader sounds like.” Oops! The tweet expectedly triggered a backlash with people calling out Prakash as “pliable”. As posts attac­king her poured in, ANI deleted the original tweet and issued a correction, deleting the reference to “real speech from a leader”. But the two-hour gap in making amends was eno­ugh for people to share screenshots of the original tweet. The past four-and-a-half years of the Narendra Modi government have witnessed a consistent attempt by the media—newspapers, news channels and websites alike—to take a clear political line, either in favour of or against the ruling dispensation and its Supreme Leader. The television news space has, so far, consolidated in favour of the Modi regime, with NDTV and Mirror Now arguably being the only exceptions. 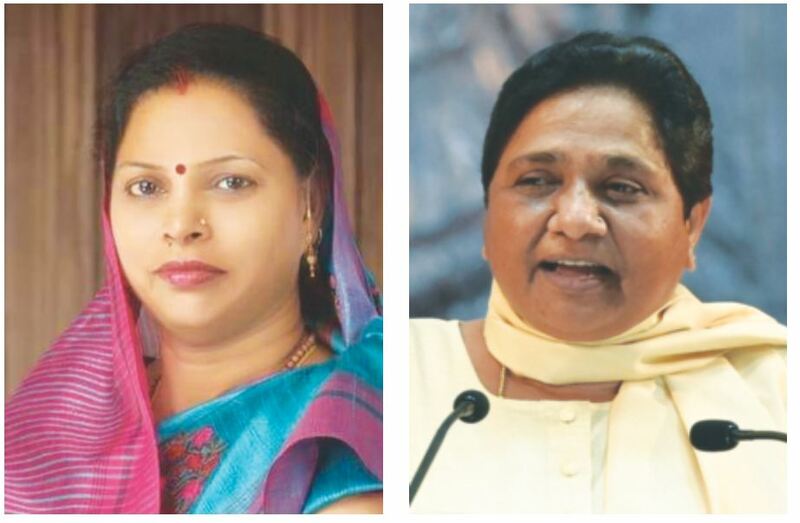 Now, with the cacophony of the Lok Sabha poll campaign just months away from reaching its crescendo, both these blocs are set to have a formidable addition each. Celebrated journalists Barkha Dutt and Karan Thapar, both known for their strident criticism of Modi and his government, are set to come together for the launch of an English news channel, tentatively titled Harvest News. Among the channel’s promoters, sources say, is Congress leader Kapil Sibal. The channel is likely to go on air by the end of January. Arnab Goswami’s Republic TV, which has as key promoter BJP MP Rajeev Chandrasekhar, is also expected to launch its Hindi news channel, likely called Republic Bharat, before March. No points for guessing the political line these channels will push. Following India’s continued slippage in the World Press Freedom Index, the world media has been paying increasing attention to the throttling of India’s press freedom, once touted as the country’s proudest post-Independence achievement. “I want this government to be criticised. Criticism makes democracy strong. Democracy cannot succeed without constructive criticism.” This is a quote taken from Prime Minister Narendra Modi by the international current affairs journal The Diplomat well after he was swept to power in 2014 on a wave of optimism. The journal, in a recent post, noted that the electoral success of Modi and his Bharatiya Janata Party (BJP) was predicated on two fundamental tenets: removing corruption and strengthening and modernising India’s democracy.